Saudi Arabia is set to break ground on its'own flight academy, the Saudi Aviation Flight Academy (SAFA) at the Thumamah Airport near Riyadh next week. The construction work at the academy, being developed in co-operation with Saudi Aviation Club and the Saudi Binladin Group, will begin on April 22. The academy will greatly enhance the aviation industry in Saudi Arabia by producing highly-skilled pilots. This tremendous step forward is backed by an investment of SR300 million ($80 million) over the next five years, said a SAFA statement. It is set to fuel the growth of aviation in the Kingdom by providing a world-class center of excellence for pilot training, By 2015, the academy will have the capability to train up to 200 cadets on par with international standards, it added. In anticipation of the large interest in pilot training from young Saudis, the academy has already acquired the land required to increase the facilities in order to double the annual trainee throughput, the statement said. The academy, which will occupy 50,000 sq.m. of built-up area, will run parallel programmes that will train candidates wishing to become professional pilots as well as recreational pilots. Campus facilities will include all training, residential housing, recreational, and administrative offices. The SAFA Professional Pilot Program will utilise an approved curriculum to deliver training from zero-time to a commercial pilot certificate with a multi-engine class rating. "The Academy will rely on state of the art aircrafts, training facilities and equipments," said Captain William Roe, Managing Director of SAFA. "The objective is to produce highly skilled cadre and above all, safe pilots who are disciplined and practice superior aeronautical decision making skills." The equipment used to train pilots will combine the latest technology in aircraft and simulation. SAFA has selected Diamond Aircraft Industries' DA40/42 NG (New Generation) technically advanced aircraft, and level 6 flight training devices to develop manual handling and automation skills. All trainee pilots will face mandatory initial screening (personality, psychometric, panel interview) and English language proficiency evaluations prior to acceptance. 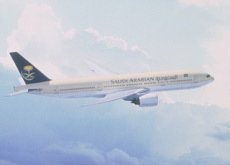 The Saudi Aviation Flight Academy will commence limited operations in December 2010 while the permanent facility is being constructed, Roe added.